Luminous is an object that omits light. illuminated objects don’t omit light they reflect light from luminous objects. We can only see an object once the light of the object enters our eyes. A light ray is a straight line with an arrow to show the path of the light wave. Lights is split into two sections. Normal line: the line is perpendicular to the surface witch the light is reflecting on. The angle i and the angle r are measured from the normal line. The angle of reflection and the angle of incidence are always equal in reflection. 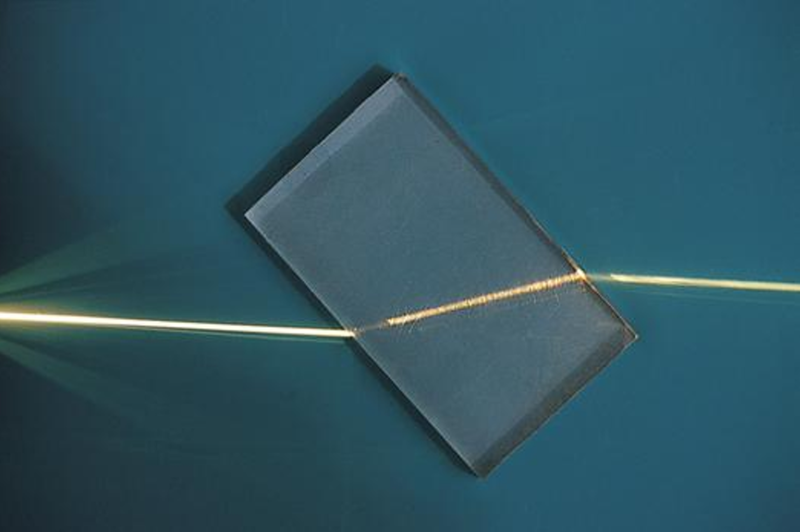 This occurs when a number of light rays hit a smooth surface parallel to each other and the get reflected and the reflected rays stay parallel to each other. This occurs when a number of light rays hit a bumpy or uneven surface. The light rays come in parallel to each other but they get reflected and the rays are not parallel to each other. Refraction is the bending of light. The normal is still extremely important. Surfaces have different optical densities/refraction index. Optical densities/ Refraction indexes are extremely important in refraction. When a light travels from a high optical density to a low optical density the light will bend away from the normal because the density around I decreases therefore the light gains speed. When light travels from a low optical density to a high optical density the light ray will move towards the normal because the density around the light increases and it decreases the speed of the light ray. Refraction in a rectangular Prism. The ray of incidents and the ray of refraction are parallel. Two refractions are taking place in the prism the two refractions are separate. The one is when the light is going into the prism and the other is when the light is exiting the prism. Refraction in a Triangular Prism. In the prism the ray of incidence and they ray of refraction are not parallel. There are again two separate refractions taking place. One once the light enters the prism and one when the ray leaves the prism.